I’m delighted to share with you my education story for Yidan, and encourage you to share yours. For more information, please follow: https://yidanprize.org/educationstory. This year, the Yidan Prize (www.yidanprize.org) has launched its first #EducationStorytelling campaign, in which thought leaders and educators from all over the world are invited to submit short videos, highlighting their education journey – aiming to inspire others and promote life-long learning. 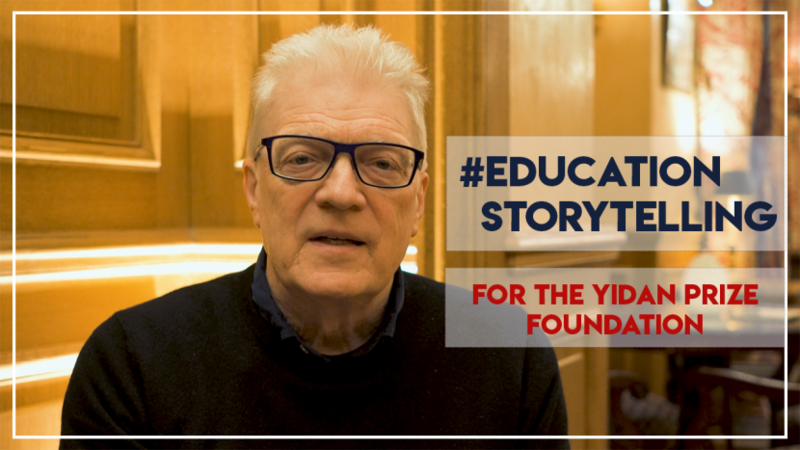 The #EducationStorytelling campaign was launched on 6 November 2018 by the Yidan Prize founder, Dr Charles CHEN Yidan, through official Yidan Prize social media accounts. Dr CHEN shared his education story in a short video and invited two other thought leaders to join him in telling their stories. They were Ms Julia GILLARD and Mr Jimmy CARTER. In the second stage of the campaign, the Yidan Prize Foundation’s digital team reached out to selected education thought leaders from around the world, inviting them to join the campaign and share their stories. Each nominee passed the baton on to two others and now we are thrilled to see that the general public has also joined the campaign.